Click the image to view the full post on the Fraunhofer IPA website. Founded in 1901 and now part of the U.S. Department of Commerce, National Institutes for Standards and Technology (NIST) is one of the nation's oldest physical science laboratories. The Next-Generation Robotics and Automation Program within the Intelligent Systems Division at NIST has many areas of research focus that overlap with capabilities being developed in ROS-Industrial: Part Grasping and Assembly, Safety of Human-Robot Systems, Robot Perception for Identifying and Locating Parts for Assembly, Robot Perception for Workspace Situational Awareness. For NIST, consortia such as the RIC provide a key mechanism for engaging with industry to carry out its mission and advance robot capabilities, particularly for manufacturing applications, through consensus definition and understanding of the requirements for advanced applications. 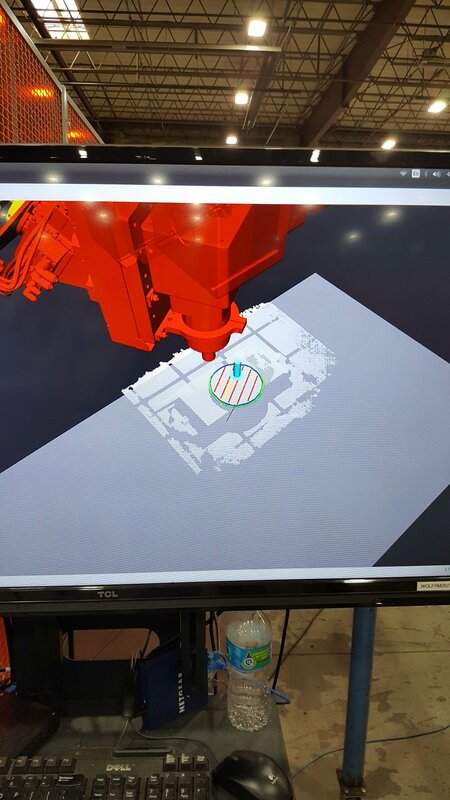 NIST has already leveraged ROS-Industrial for two projects – An MTConnect and ROS-I Integrated Robotic Workcell and Human Tracking for automation safety. 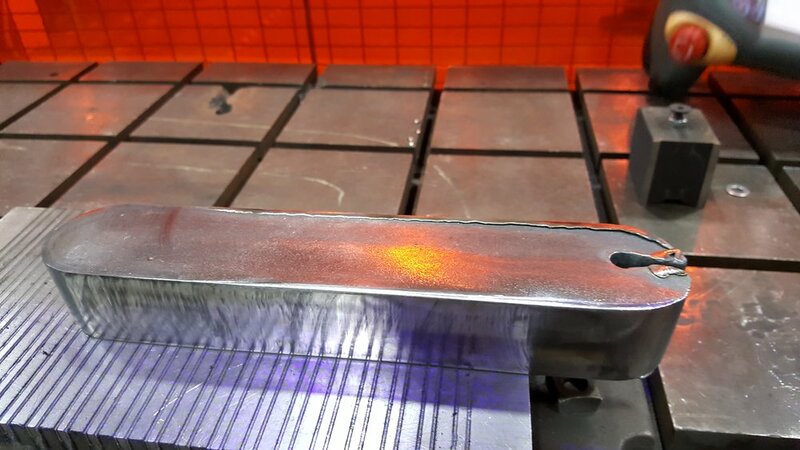 MTConnect is a standard interface for controllers of machining equipment, such as CNC mills and lathes. ROS-Industrial provides a unified software platform for industrial robots. The goal of this project was to create a software layer that will provide a generic bridge between the MTConnect and ROS-Industrial interface standards. 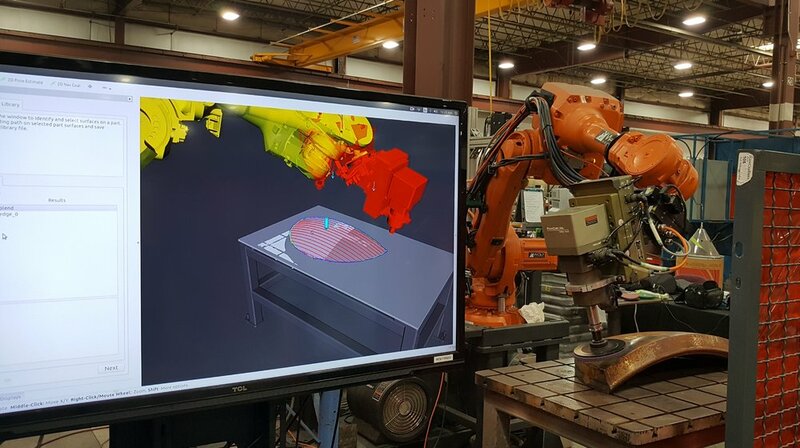 A final demonstration consisted of an industrial robot loading raw material into a simulated CNC lathe and unloading finished product. For the second project, NIST is evaluating a prototype sensor system for the purpose of detecting and tracking humans in industrial environments. No standards exist for either measuring the performance or certifying the applicability of perception technologies for detecting and tracking people in such dynamic and unstructured environments. Reliably detecting and tracking movements of nearby workers on the factory floor is crucial to ensuring safety around ever more cooperative manufacturing automation. Future blog posts will provide more detail about the MTConnect and Human Tracker projects.